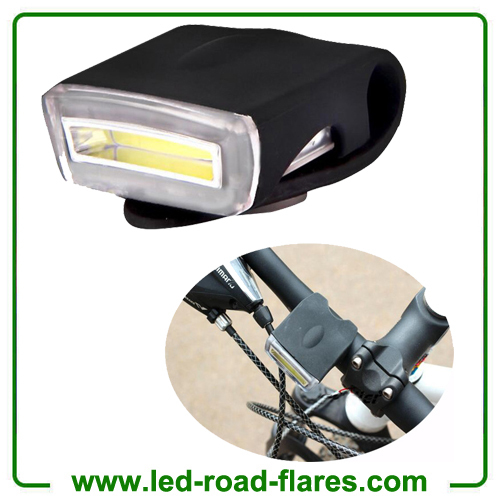 USB Rechargeable Led Bike Light Set provides a high intensity beam to illuminate even the darkest trail and to illuminate your path, forest trail, & urban areas and improve visibility in the darkness, fog or rain. See and be seen. 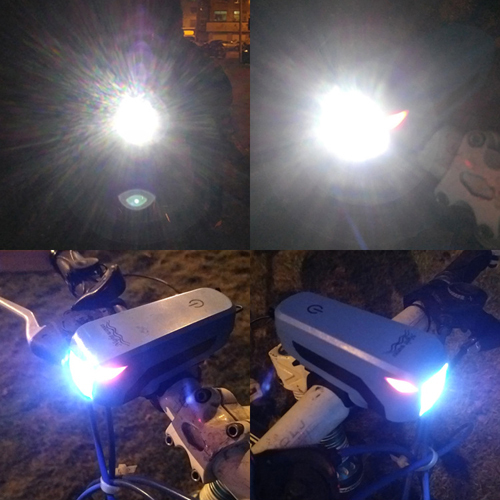 This Universal Rechargeable Led Bike Light set is perfect for road bikes, MTB, BMX, street bikes, scooters etc. It comes in a universal quick release mount bracket for various kinds of bicycles by utilizing a precise and high quality fully adjustable front mount that is easily attachable to any size of handlebars. The materials are crafted from high grade, aluminium alloy that offers toughness. They are made to precision with aviation grade materials and specifications, and hand pre-selected to ensure the final product is top quality that can withstand even the harshest terrain without breaking down. 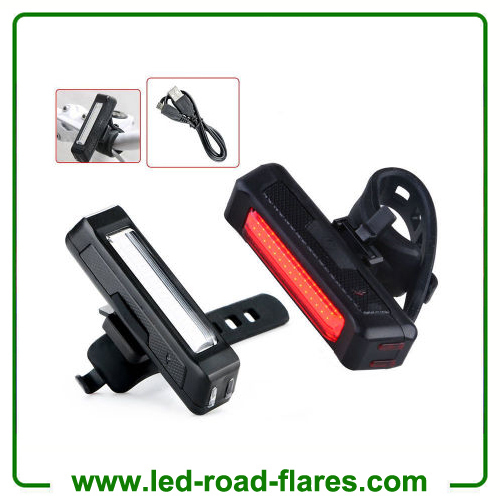 Bright Rechargeable LED Bike Light Set includes 1 Heavy-Duty Aluminum Alloy Cycling Front Headlight, 1 USB Rechargeable 18650 Li-ion Battery and 1 Mount Bracket. Whether you are cycling in the city or enjoying mountain biking at night, it’s important to take the necessary precautionary measures that will keep you safe and sound and make all drivers notice you and maximize visibility even under the darkest conditions! This speaker bicycle headlight is with built-in horn. Be Safe On Your Bike At Night: RISK-FREE Cycling In The Dark! 1. 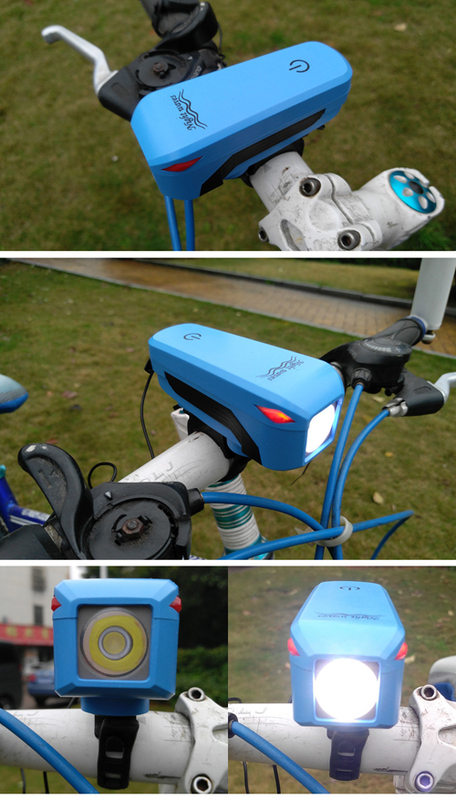 2 in 1 bicycle lights with bike headlights and a loud electric horn. 140db spekaer is suitable for use in noisy environments, loud enough to remind/warning trucks, buses and other vehicles and passers. 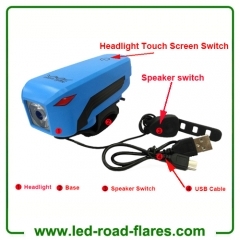 waterproof headlight touch switch is durable and easy to operate. 3. USB Charging- Can be charged from your computer or any device with a USB port. Automatic power-off when fully charged, smart charging ensures battery longevity. 1. The USB Rechargeable Speaker Bike Headlights will make you visible, illuminating your way in the darkness. 2. 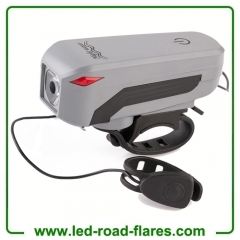 The Speaker Bike Headlights provides a powerful beam of light which is excellent for both cyclists and motorists. 3. It is extremely easy to mount on your bicycle. 4. It is great for safe and secure riding. 5. 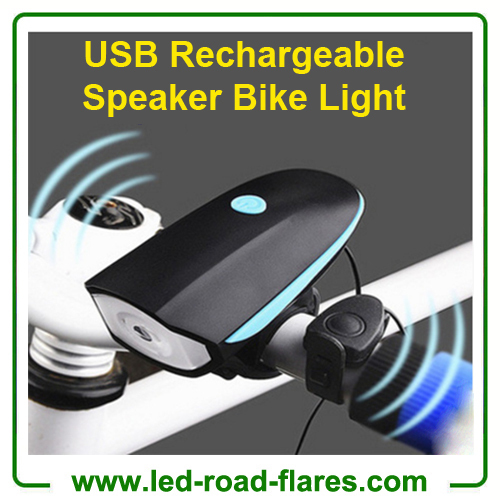 This bike lights is with USB rechargeble. 11. 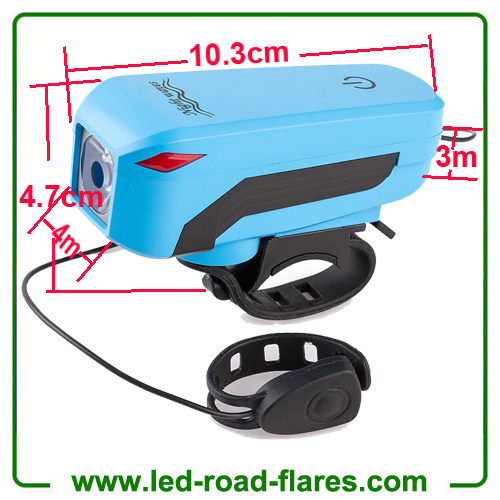 Alarm or Warning effect at night when you on bike. This speaker bicycle Headlights can be used for a wide range of activities: mountain biking, road biking, city commuting, racing bikes and kids' bikes. It will work with absolutely any handle bar imaginable. This rechargeable bike lights is specially designed for cycling and a perfect choice for mountain cyclists, city bikers and outdoor adventurous riders. 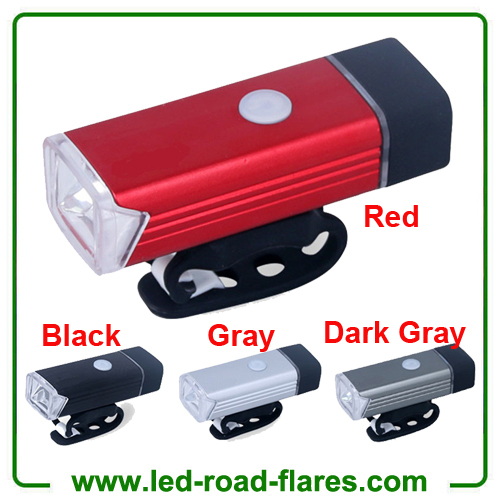 BRIGHT & RELIABLE: stylish, powerful and compact usb rechargeable bike light set with 400 lumens output bike headlight with 4 lighting modes. 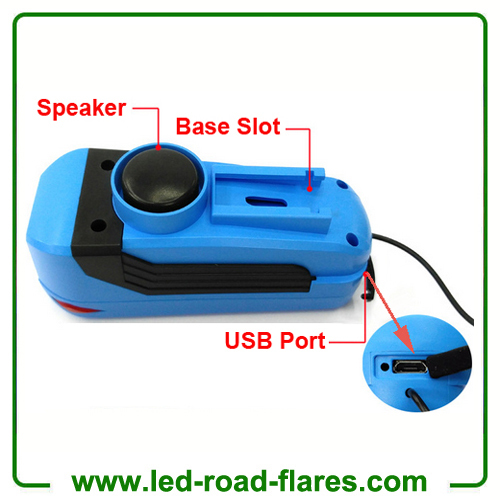 USB RECHARGEABLE: It will take 2-3 hours to charge fully. Say goodbye to expensive batteries. 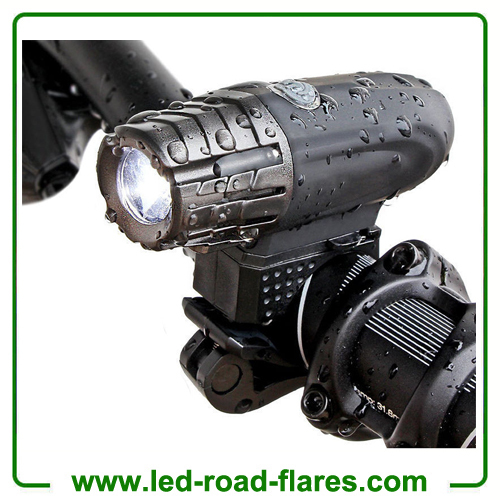 Whether at day or night, this all-powerful set of LED bicyle lights will keep you seen anywhere, anytime! WATER-PROOF DESIGN: IPX6 rating, dustproof, and weatherproof aviation aluminum alloy shell keeps the light in perfect working condition in any weather and any time of the year. EASY MOUNTING: No tools are required. Installs in SECONDS! 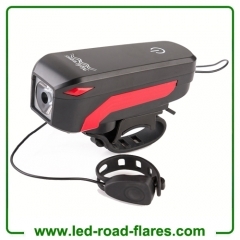 The bike lights features a rubber bar mount for hassle-free installation.